Were you able to see the Super Moon? It was truly beautiful. I stood at the end of my street overlooking the beach. I expected to see swarms of people setting up their fire pits for the night ahead. I thought most of the neighborhood would gather to watch the fullest moon the night sky had seen in years. To my dismay the beach was desolate, only a few birds looking for dinner. The only sound was the waves crashing on the shore. Although it was a peaceful space for me, I began to reflect and wonder; where was everyone else? It saddens me to think that most people only saw this moon on the newsfeed of their Facebooks. We are so plugged into our social media that we often forget to look up from the screens. We focus intently on accomplishing more than what is truly attainable. Too many of us are constantly looking for the next best thing. We all feel the need to be the best at something or the first to discover something or finish something. But this leaves almost no time left to reflect on ourself, our spirits, our being. I wish the internet would stop working for a little bit so people would have no other choice but to reflect on themselves, to engage in real human contact, to look people in the eye and feel together, to build up our children, communities, and homes. We lose so much when we put all our energy into the media. We miss great relationships, mother nature, and our inner voice. We numb ourselves from feeling and often end up depriving ourselves of what we need most because of it. Take a moment away from the screen to assess where you are with yourself. 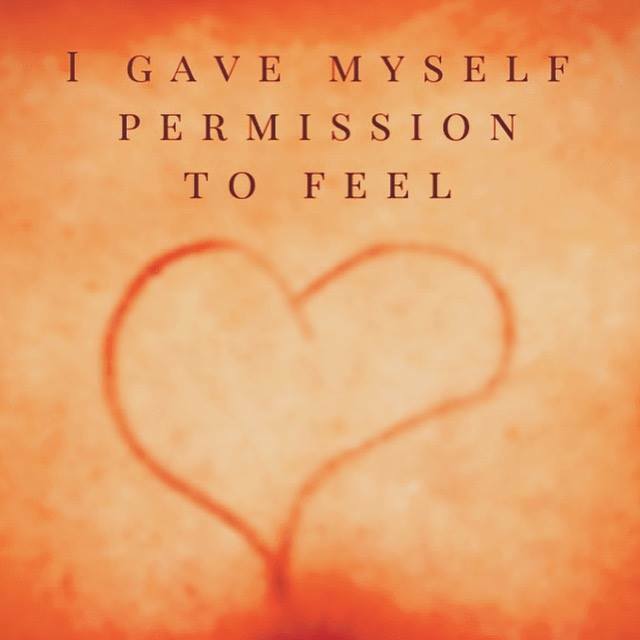 Are you allowing yourself to feel? How do you truly feel? Are you comfortable in your own body? Are you speaking kindly to yourself? My hope is that we choose to do this for ourselves and our loved ones. It’s so important to express our feelings, to let the tears flow as needed, to continue to instill hope in our children-our future. It is essential to take the time to tune into your own inner voice and block out the rest of the world. Make sure you are allowing yourself to feel whether it be good or bad. If you feel a connection to this post maybe it is time to start practicing some self-care.